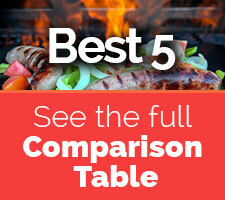 Most people want an indoor electric grill that gives a good taste as well as easy to clean. George Foreman indoor grill is specifically for those people. It is well known for the easiest cleaning up an indoor electric grill. But cleaning up is not the first requirement of the customers. They want a good taste like an outdoor grill. This small electric grill will give u a good result of grilling foods like steaks, burgers. Again the cleanup process is so easy that some customers prefer to choose this one over many indoor grills. Plus the cooking area is bigger than many other grills. It has enough space to cook six burgers or three medium size steaks. Also, it has a digital display and a great temperature setting. These features altogether will satisfy you and your taste bud. 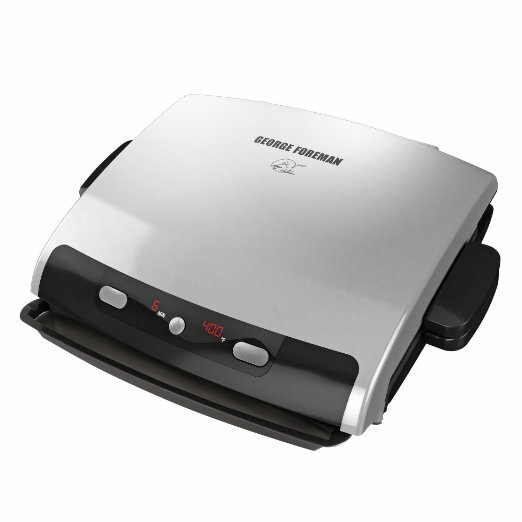 If you have a small family, then George Foreman GRP99 indoor grill is the best option. The cooking surface is about 100 square inch that is enough to cook for your family. Also, it doesn’t take a lot of time to cook. But if you have a large family and you need enough space to cook for 4-5 persons at once, then go for Breville smart gril﻿l or George Foreman indoor outdoor grill. These two products have the largest cooking space. You can compare them here. healthy by draining the extra fats from your food. It removes about 42% fat while cooking. As the fats and grease will be stored in the drip tray, your countertop will be less messy. You don’t have to be worried about the cleaning up part. 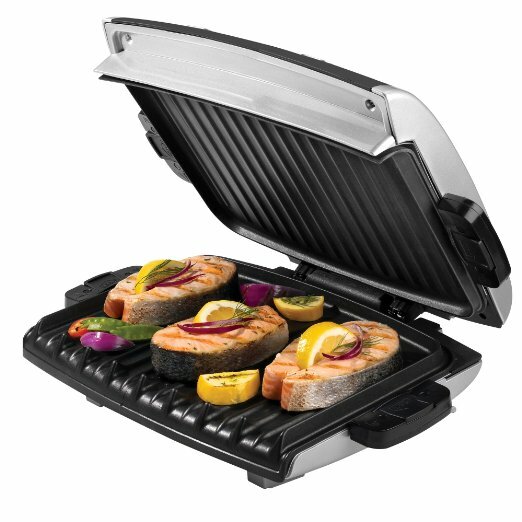 George Foreman indoor grill is one of the best grills which are easy to clean up fast. The drip tray under the cooking surface stores all the extra fats and oils. As the parts are removable, all you have to do is just put the parts in your dishwasher. The nonstick plate is very easy to clean. If you don’t have a dishwasher, then drop the components in your sink and let them soak. Then after waiting some time, clean them with a nylon brush. The oil and fat will come out easily. It doesn’t take more than four minutes to clean up your indoor grill. But it is not good for pancakes or eggs. The heat will easily burn your egg or pancake. 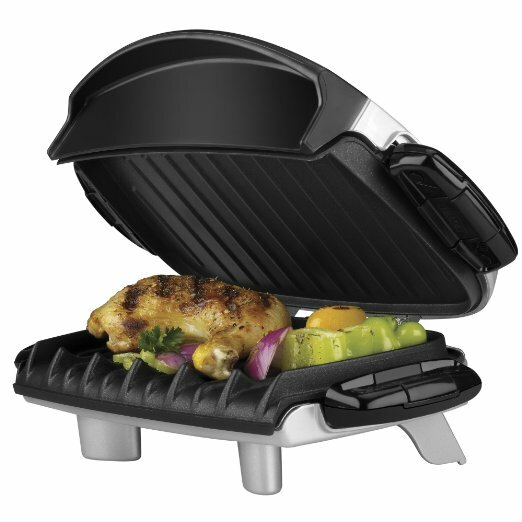 The features of George Foreman GRP99 will not disappoint you. It is very easy and fast to clean. The cooking surface is non-stick, and the components are dishwasher safe. The surface is so large of this countertop grill that you can cook for the whole family. 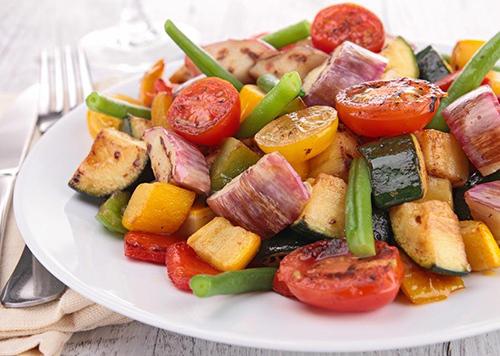 It takes a very short time to preheat and cooks fast and improvised meals. As it removes the grease and fat out of the meat, this small electric grill will keep your family healthy. But sometimes the meats are too dry and rubbery. Some people don’t like it. Again this George Foreman indoor grill has a long warranty and usually lasts up to three years. 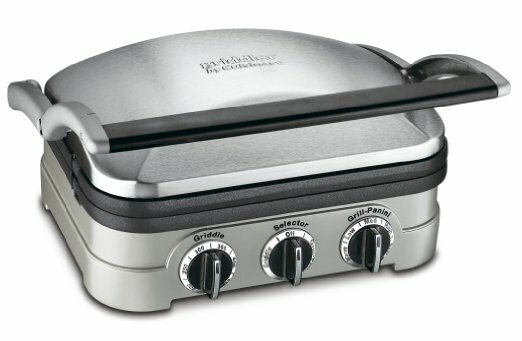 If you want a grill that is skillet style and which will help to give you more juicer and tender food, then you can go for ​Delonghi BG24 Perfecto Grill.